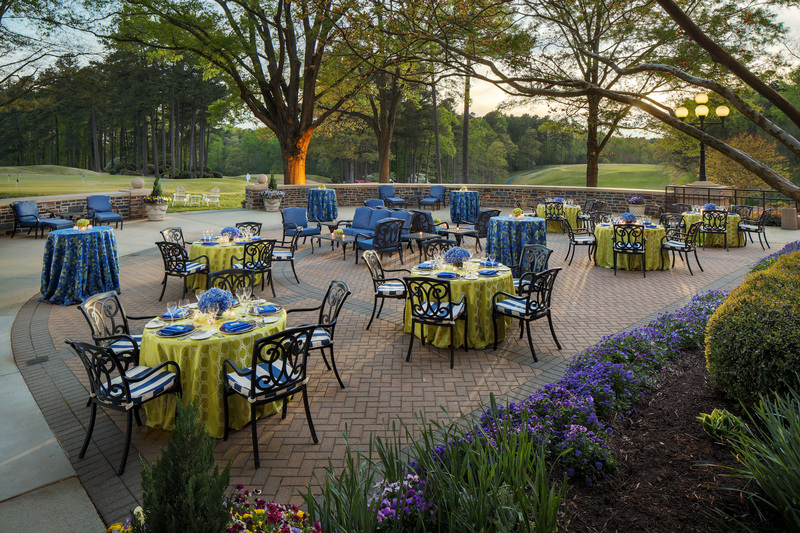 Washington Duke Inn & Golf Club, the premier AAA Four Diamond luxury inn and golf club located on the campus of Duke University in Durham is hosting a Fullsteam Beer Dinner on the beautiful Terrace on the Green Wednesday, August 12th. Part of their ongoing summer dinner series, this event will be hosted by the Fairview Dining Room, a Four-Star rated restaurant, and held at Terrace on the Green, the Inn’s spacious, outdoor patio seating area. To make reservations, please visit the event website, or call the Fairview Dining Room at 919.493.6699. Celebrate Durham-based Fullsteam Brewery’s fifth brewing anniversary with a special multi-course menu paired with Fullsteam’s Southern-style craft beer. Executive Chef Jason Cunningham and Chef de Cuisine teamed up with Fullsteam Founder and Brewmaster Sean Lilly Wilson for this festive fete. The menu will combine Fullsteam’s emphasis on local terroir and celebration of seasonality with the Fairview Dining Room’s seasonally-inspired cuisine and prominence of locally-sourced ingredients to create a true southern celebration. Cost: $54 per person and $44 for Executive Club members. Seating is limited. 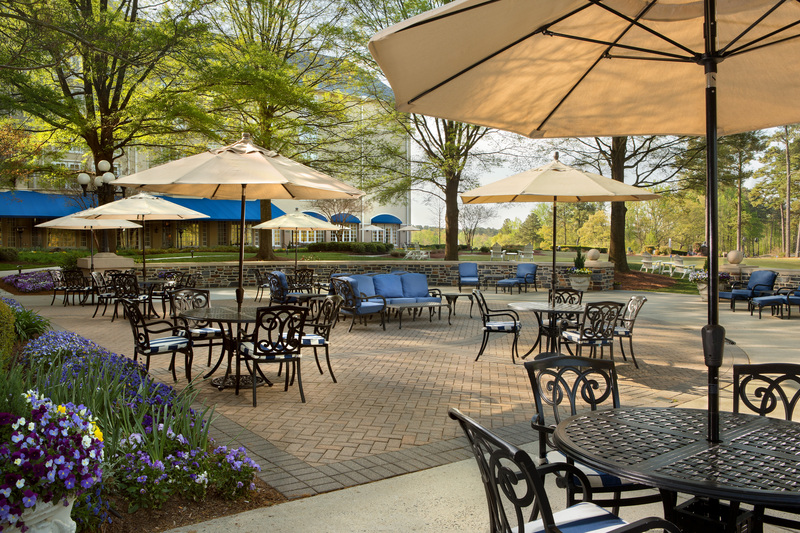 The Washington Duke Inn & Golf Club is located on the campus of Duke University, only twenty minutes from Raleigh-Durham International Airport and ten minutes from Research Triangle Park. The Washington Duke Inn is the only AAA Four Diamond hotel in Durham, North Carolina. Nestled on 300 acres filled with tall pines and hardwoods, the Inn is known for its beautiful facility and grounds, 271 elegantly appointed guest rooms and suites, marvelous cuisine in the Fairview Dining Room — winner of the AAA Four Diamond Award, 2015 Forbes Travel Guide Four-Star Award and Wine Spectator Award of Excellence — the Bull Durham Bar, the Robert Trent Jones-designed 18-hole championship Duke University golf course, and its convenience to local points of interest. It is set apart from other area hotels and conference centers by unparalleled service, a gracious staff, luxurious interiors and attention to detail. The Inn is owned by Duke University and is managed by WDI Hospitality, LLC of Durham, North Carolina. For more information or reservations call 919.490.0999 or 800.443.3853, or by visiting washingtondukeinn.com, and on Facebook at facebook.com/WashingtonDukeInn and on Twitter at twitter.com/washingtonduke. To learn more information about The Washington Duke Inn & Golf Club, including its upcoming events, please visit http://www.washingtondukeinn.com/.